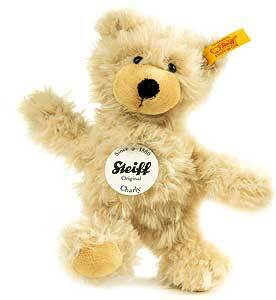 Steiff CHARLY teddy bear with dangling legs. Made of cuddly soft beige plush. Size 16cm, Machine washable.